Weight Gain During Pregnancy – How Much is Enough? “I thought I had a free pass to eating everything. I really didn’t think I needed to watch my weight gain during pregnancy!” – Niti Singh, 29, first-time mother. What is the right amount of weight gain for every woman? The answer depends on your pre-pregnancy weight. On the other hand, underweight women who don’t gain enough weight could be at an increased risk of delivering low birth-weight or preterm babies. In your first trimester, you will only gain around 1- 2 kg and in fact some women may even lose weight because of their morning sickness. So most of the weight gain will happen in the second half of your pregnancy. “On average, most women gain around ½ kg per week once their second trimester begins” says Dr. Swati. “But it’s important to keep in mind that the mother’s weight gain is not directly proportional to her baby’s weight gain.” In other words, the baby may be growing well even if the mother is putting on less weight. The weight you gain during pregnancy comes from your baby and the surrounding fluid, the placenta, an increase in your blood volume, and of course from the fat you gain. After your baby’s delivery, you will shed a few kilos but the rest of the weight loss will come from shedding your body fat. 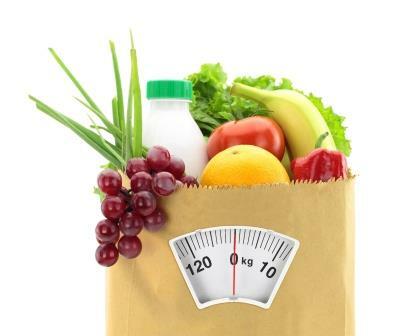 “Weight must be managed sensibly” warns Dr. Swati. “Even if you’re overweight, we don’t want you to focus on weight loss when you’re pregnant.